Manager race jumping stock images by Aurielaki. obstacles over illustrations in EPS10 EPS JPG AI. 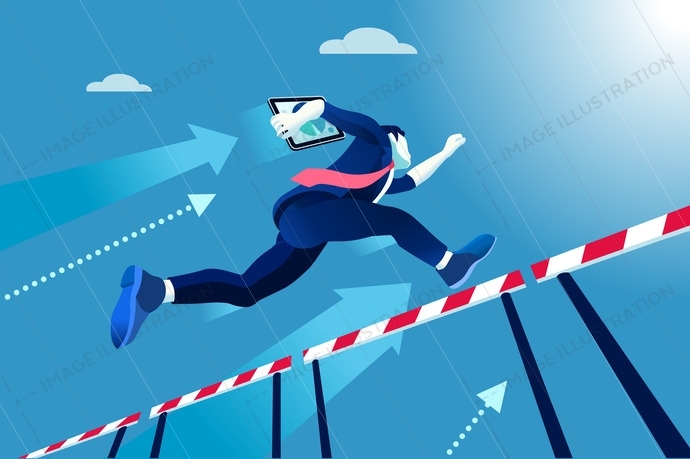 Business man jumping over obstacles a manager race concept. Overcome obstacles concept. Man jumping over obstacles like hurdle race. Business vector illustration. SKU: Manager-race-jumping-over-obstacles-AurielAki. Category: Office Cartoon. Tags: adversity, aspiration, background, beginnings, blue, business, businessman, challenge, competition, concept, conquering adversity, effort, finance, finding, forward, growth, high up, hurdle, hurry, illustration, investment, jumping, leadership, man, manager, metaphor, modern, moving up, new, obstacle, opportunity, planning, power, progress, race, reaching, running, situation, skill, solution, starting line, success, the way forward, toughness, vector, winning, Working.